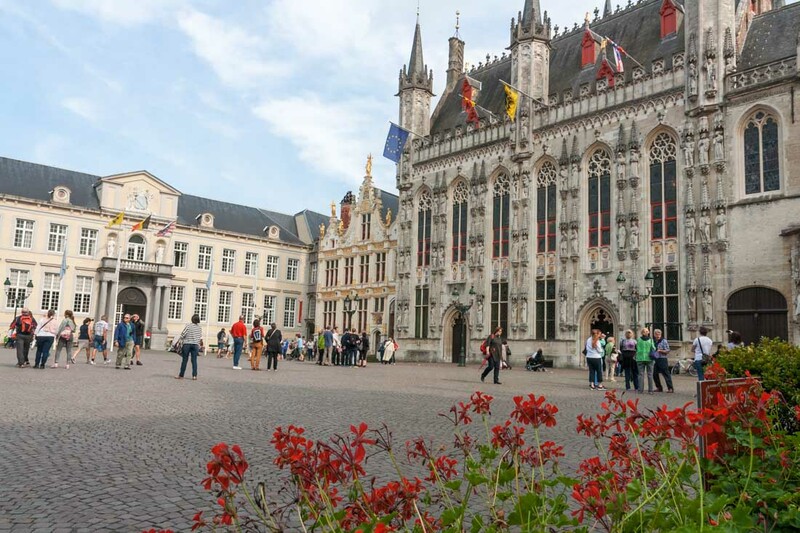 The buildings in Burg square represent a variety of architectural styles from the Gothic to Renaissance to the Neo-Classicist which includes what is perhaps the most beautiful building in Bruges, the Gothic Town Hall or Stadhuis, dating from 1376. A place full of history. 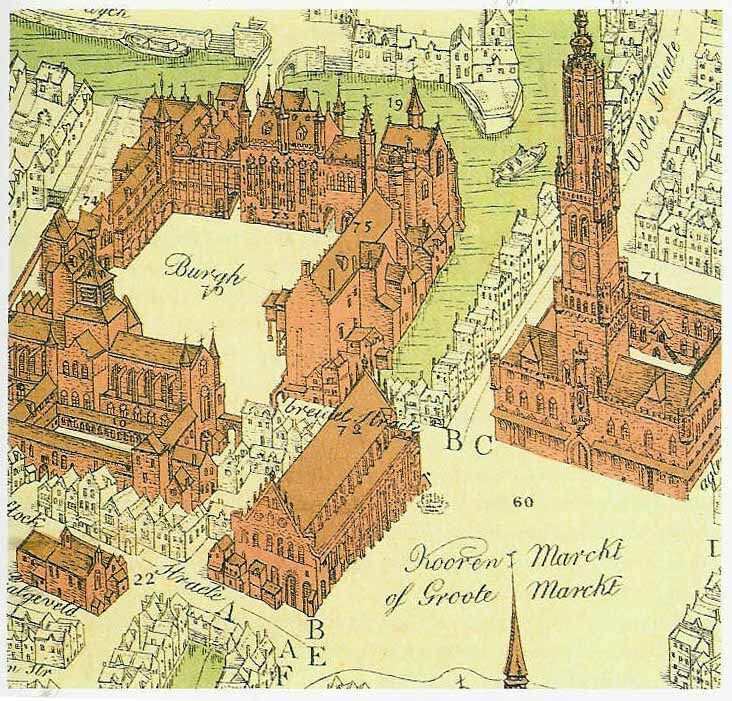 The Burg square is one of the earliest inhabited places of the city. People settled here as early as in the second and third centuries of our era. 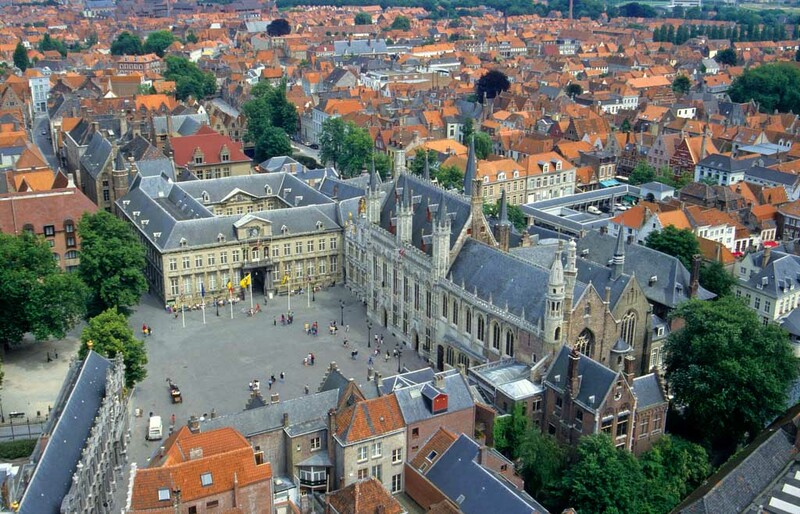 In the ninth century, the count of Flanders chose the Burg square as his base of operation. Burg square was so named because of the fortress that Baldwin Iron Arm, the first Count of Flanders, built here in the 9th century. 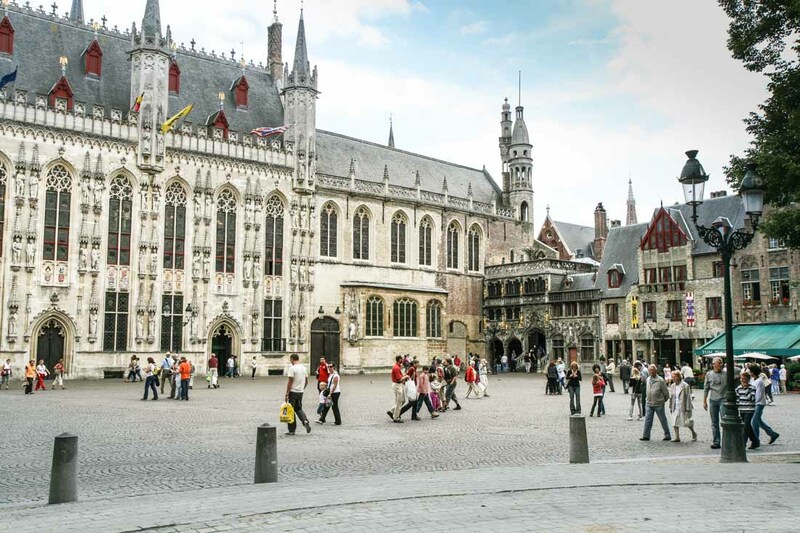 Although there is no trace of any fortress here today, the interesting mix of beautiful buildings that still exist on the square will take you on a journey through Bruges’ long history. 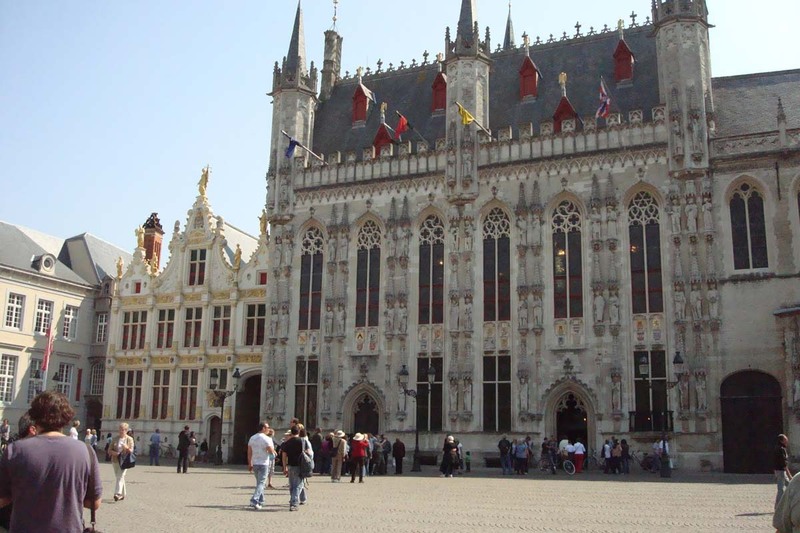 As the base of the Counts of Flanders, the Burg became the political and religious centre of the region and on the square are some of the finest buildings in Bruges. 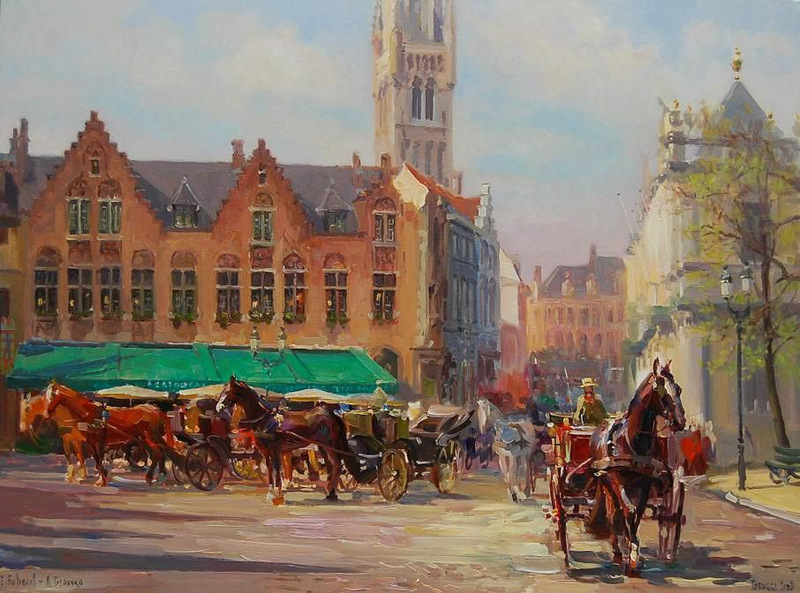 Although the fortress disappeared a long time ago, the Burg remained an important political centre for quite a period and is still the administrative centre of Bruges today. The most impressive building on the Burg is the Town Hall. 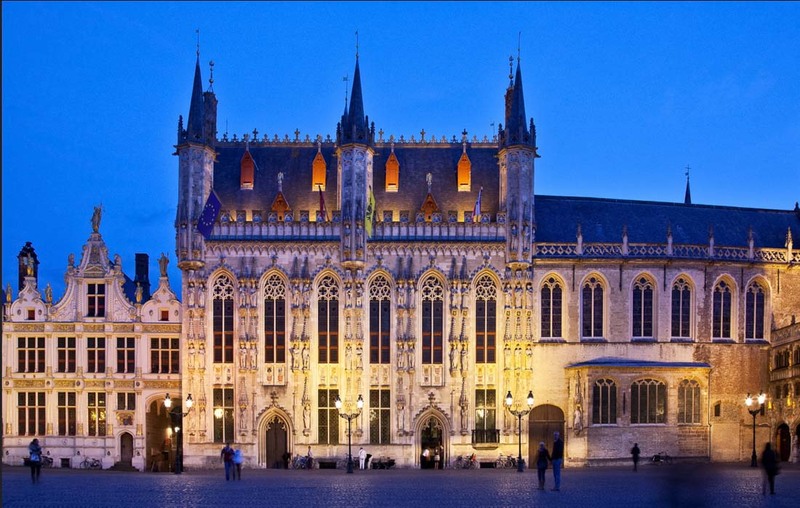 This beautiful Gothic Bruges City Hall was built in 1376, making it is one of the oldest in the Low Countries. It was from this building that the city was governed for more than 600 years. 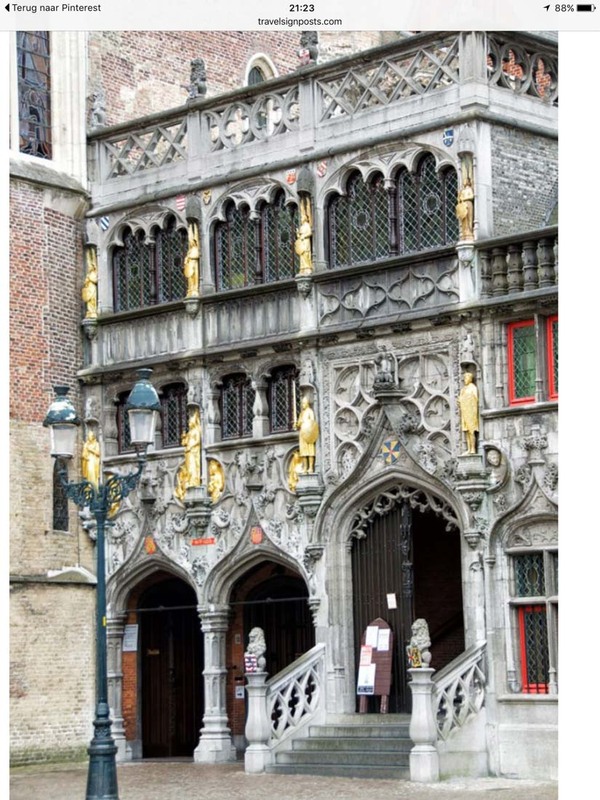 The statues on the facade, although not the original, are of the Counts of Flanders and biblical figures. The original facade, painted by Jan van Eyck, was destroyed at the end of the 18th century but the turrets and narrow windows still display a proud dignity. In the entrance hall a large staircase leads to the Gothic Hall and the adjoining Historic Hall. 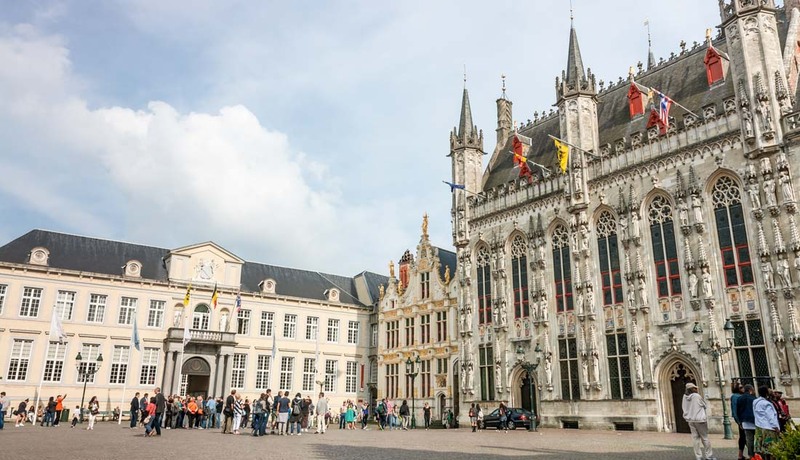 If you’re interested in the early history of Bruges, the power struggle between the people and its rulers and seeing historical documents and artifacts, such as the city’s seal, these halls are worth visiting. You are unlikely to tire of Bruges no matter how long you stay. Next-door to The Stadhuis is the smaller Renaissance period Old Civil Registry (1537). This was once the Old Court House. 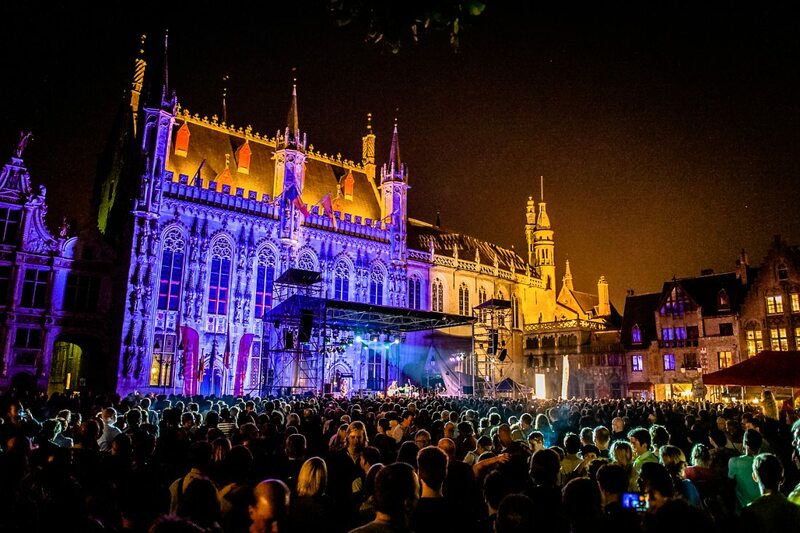 Although smaller than its neighbor, it rivals it for beauty, color and style if not size.The Palace of the Liberty of Bruges was the place from which the surrounding countryside (Brugse Vrije) was governed from the late Middle Ages until 1795 – the “Liberty” was the name of a district of Bruges. This palace later served as the Old Court House for nearly 200 years. Atop the building's large, central dormer stands a bronzed statue of the blindfolded Lady Justice and on either side of Justice, on a pair of smaller dormers, are statues of Moses and Aaron, also in bronze. Cutting through these two landmarks is the colorfully named Blind Donkey Alley (Blinde Ezelstraat), a narrow pedestrian passageway linking Burg Sq. with the old fish market, the Vismark,t and one of the city’s many canals where one can take a rest and book a scenic canal ride. It is a delight to be here, wander around, look, people watch, have a coffee, some food, a beer or what you like. In a corner of the square down from the the Old Court House and the Stadhuis is one of the smallest buildings in the square, yet the one with the most interesting history, the Basilica of the Holy Blood. The facade of the Basilica is ornately decorated with gilded statues and medallions of the Counts of Flanders and their partners. The Basilica of the Holy Blood consists of a Romanesque lower chapel and a Gothic upper chapel. The two levels could not be more different: the Romanesque lower level is austere with very little decoration, while the Gothic upper level is alive with color and detail. The two chapels are connected by a monumental brick staircase, which runs behind the grand facade facing the square. They were rebuilt in the 19th century. The Basilica owes its name to a relic from The Crucifixion: A vial containing a small piece of cloth said to be stained with drops of blood of Jesus, washed from Christ’s body by Joseph of Arimathea. The relic was brought to Bruges following The Crusades by the Count of Flanders . On another side of the square is a building called the Deanery. It is done in elegant Baroque style. It is the former house of the deans of St. Donatius Church and later became part of the Palace of Brugge. When works started to built the Holiday Inn Crowne Plaza Hotel in 1988, the remains of the romanesque choir gallery were found. They are reamins of the cathedral that was destroyed in 1799. The gallery was integrated in the cellars of the new hotel. 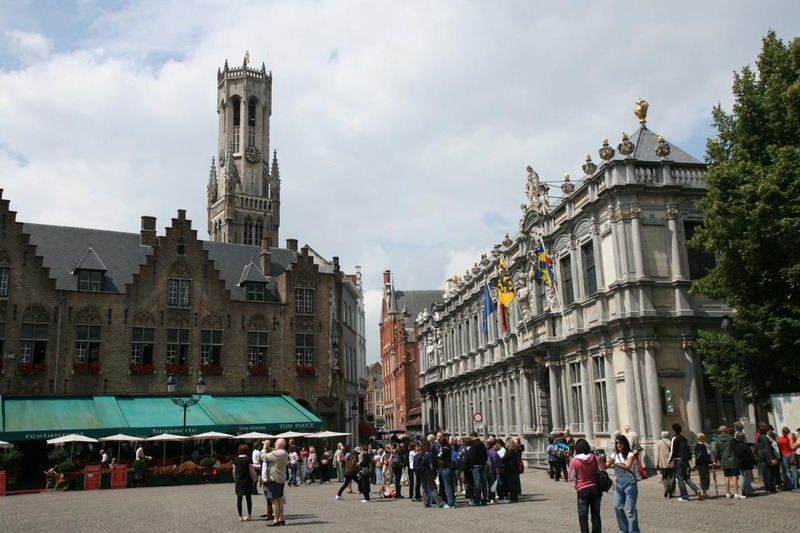 Just next to the Basilica of the Holy Blood there are a couple of brasseries and restaurants where you can sit and take in the ambience of this beautiful square.